Judy Kittleson, one of Briya’s English teachers, was awarded the 2017 TIERific Teacher Excellence Award by the Public Charter School Board (DC PCSB), which oversees all charter schools in the District. She was honored at a ceremony on December 11, 2017. 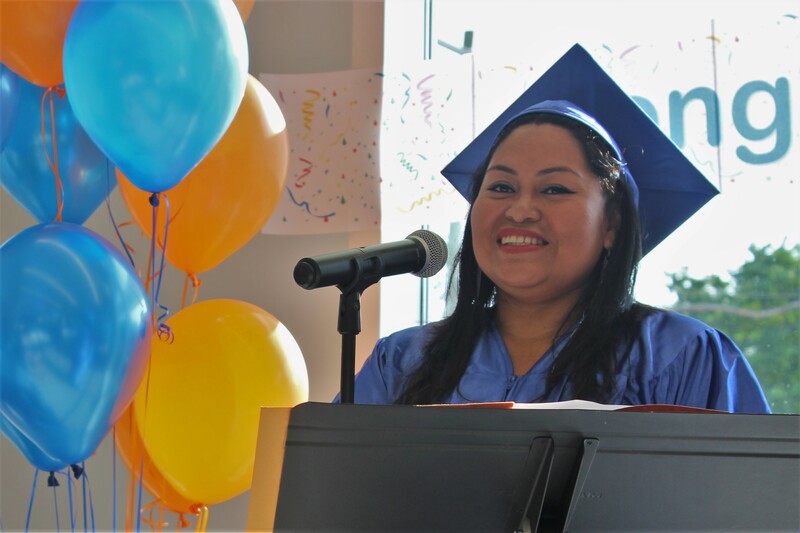 This award recognizes an outstanding DC public charter school teacher who demonstrates dedication, excellence, and care to their students and school. Kittleson has been teaching ESL to adults for 25 years, and 12 of those years have been at Briya. 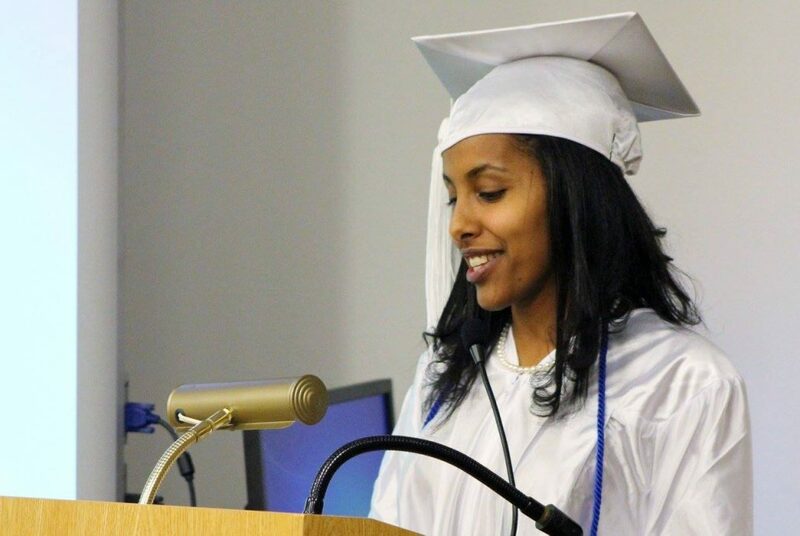 In addition to teaching English, she teaches parenting classes, mentors new teachers, and works one-on-one with students in Briya’s National External Diploma Program, which she was instrumental in bringing to the school. 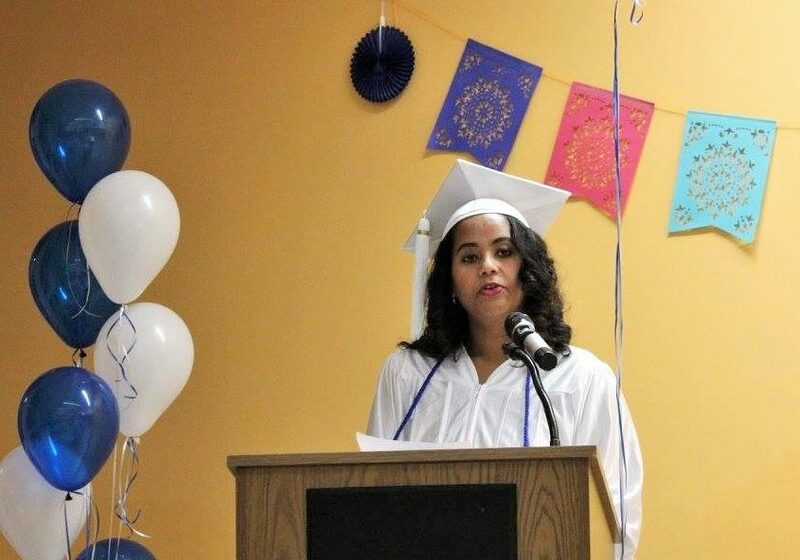 “I went into teaching because it uses my whole self—my intellect, my creativity, my personality, my sense of humor—and teaching English language learners feeds my curiosity about cultures, my love of language, and my desire to work for social justice,” she said. 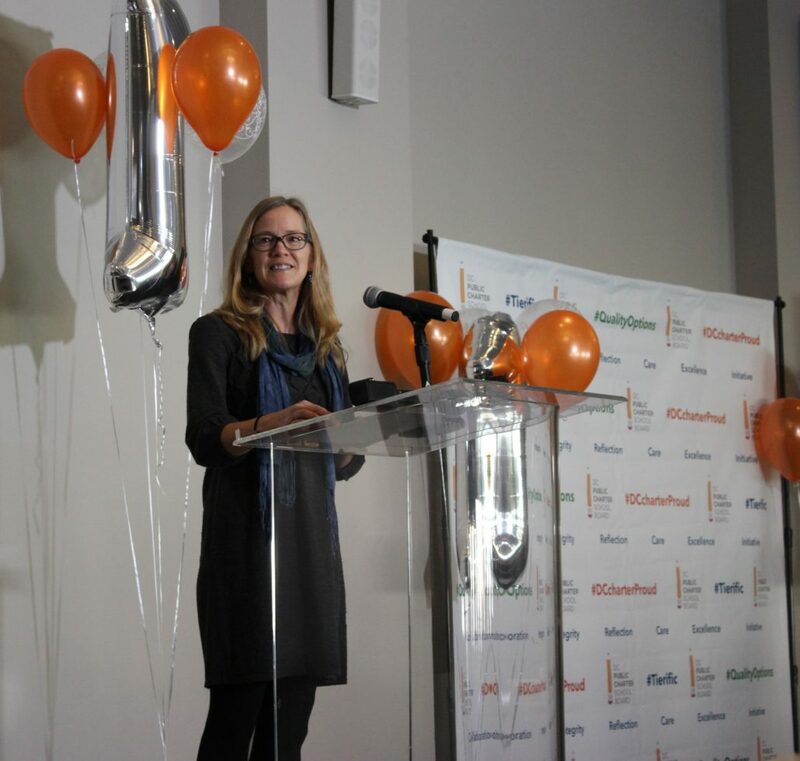 During the ceremony, Kittleson gave a speech in which she mentioned her experiences teaching at Briya, described how she connects with her students, and offered advice to school administrators. 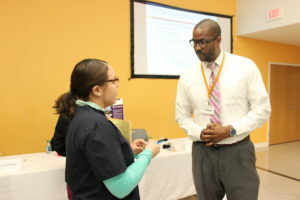 “By knowing our students’ experiences, we connect new information with what matters to them,” she said. Briya was recently ranked as a Tier 1 high-performing school in both adult education and early education for the 2016-17 school year by the DC Public Charter School Board. The DC PCSB oversees all public charter schools in the District and evaluates them annually based on common standards. Schools are then ranked in tiers according to their performance. 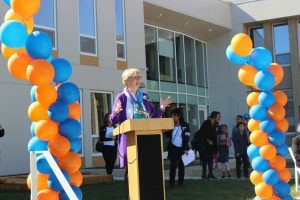 This is the third consecutive year Briya has been ranked Tier 1 in adult education, ever since the rankings for adult education schools first began. 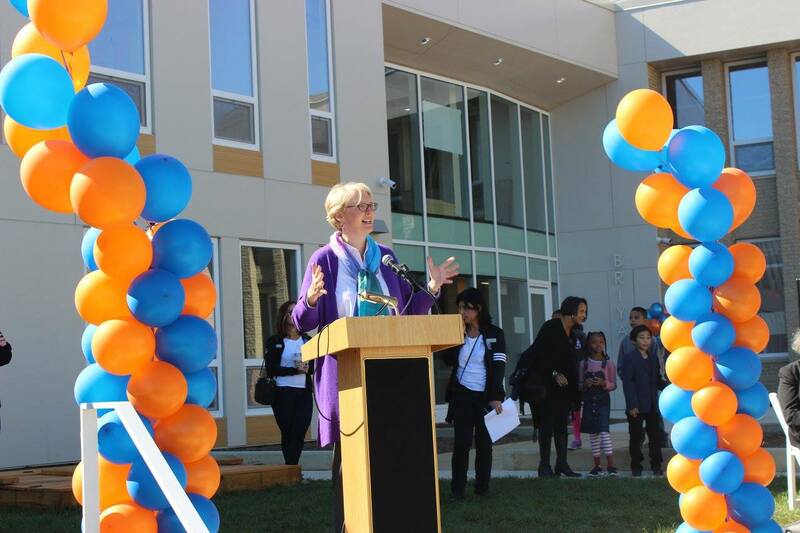 This is the first year that early education charter schools in DC received tiered rankings. 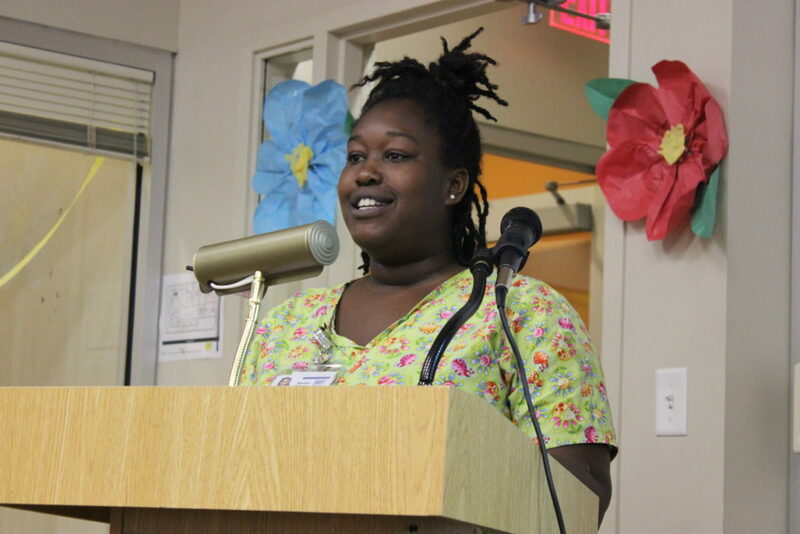 Briya was honored alongside other Tier 1 schools at a ceremony, during which Jennie Niles, DC’s Deputy Mayor for Education, addressed the group.